2 layer board of 0.61 x 0.85 inches (15.4 x 21.5 mm). Uploaded: January 27th, 2018 22:17. 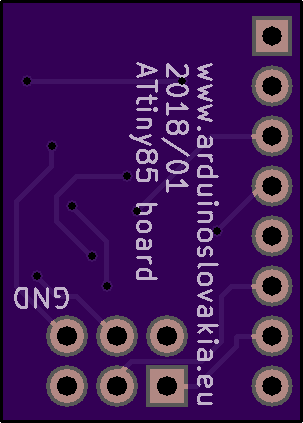 This is a development board project for ATtiny85 microcontroller. The board is designed to work on a breadboard. The board contains the basic components required for the functioning of the microcontroller. 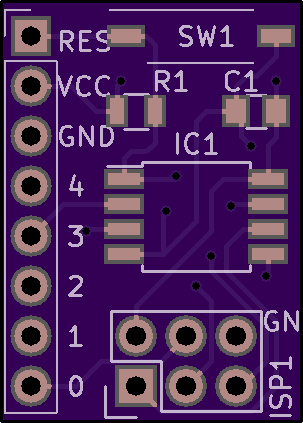 All pins are on one side and are designed to be easily combined with boards, that contain 5 LEDs.